The company principles are built on mutual trust and a passion for surveying, we enjoy surveying homes and giving clients an easy to read report on their new home. 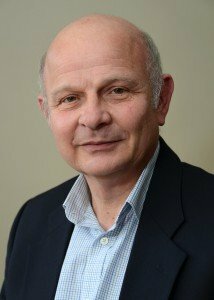 Based near Dunstable and covering Leighton Buzzard, St Albans and Tring, Alan Rance has over 30 years experience and expert knowledge in surveying, a qualified Building Surveyor and Member of the Residential Property Surveyors Association (MRPSA). Having been born in Berkhamsted, lived in Tring, and worked in many towns and villages in Hertfordshire, Bedfordshire and Buckinghamshire all his life, he knows of local construction issues and the geography of the local area, with specialist knowledge of clay lump buildings and thatched roof construction. All this assists in understanding buildings, how they perform and how they can be affected. He takes pride in the fact that he provides honest, impartial and credible advice to his clients. Our services include: building surveys, home condition surveys, energy performance certificates, clay lump surveys and commercial EPCs. 01525 220786 or mobile: 07962 457456.